There's a lot to appreciate in old board games besides their game play, like the beauty of their lithography and the interest of their history. 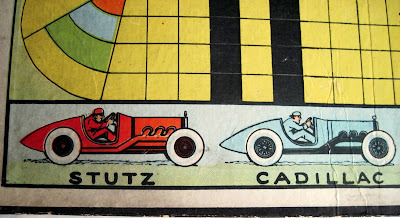 One of the best examples of this in my collection is a 1920s auto race game, made by Wilder Mfg. of St. Louis, Missouri. 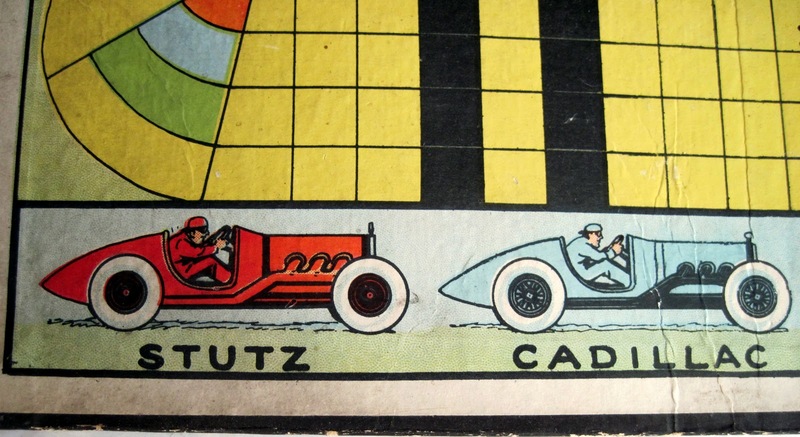 The board features wonderful cartoony illustrations of now-classic automobiles in a road race. Oh no! 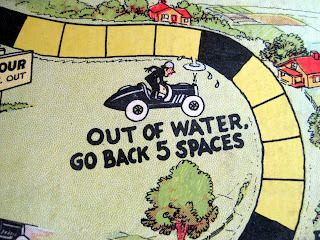 You're out of water, and your radiator is overheating! 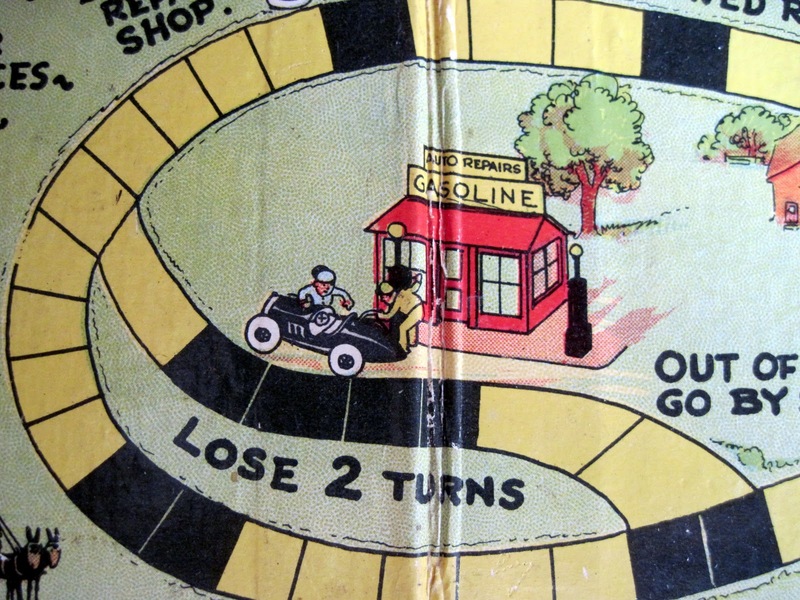 So, were the game pieces little metal replicas of the cars? or wooden ones? Sadly, I only have the board, so I can't say for sure, but I think the pieces were just tiny colored wooden cubes, to match the colors of the cars at the bottom of the board. The spaces on the board are incredibly small, and square, which leads me to this conclusion. Would you be willing to provide a picture of the board, laying completely flat to the Owls Head Transportation Museum? We are located in Maine and we have a collection of antique aeroplane games, but have not been able to find this particular game to purchase. I would love to have a better image of this for our archives.